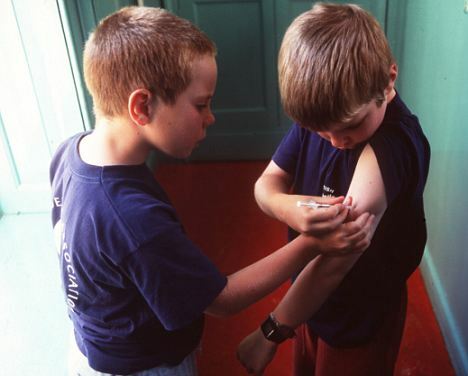 The incidence of type 1 childhood diabetes has been increasing rapidly worldwide. If blood sugar levels aren’t well-controlled, juvenile diabetes can affect nearly every organ of a child’s body. And while long-term complications of the disease develop gradually, they may become disabling and even life-threatening. The exact cause of juvenile diabetes has eluded scientists, but a new study from Tel Aviv University suggests a likely trigger before birth. In a recent paper published in Diabetic Medicine, Prof. Zvi Laron, Professor Emeritus of Pediatric Endocrinology at TAU’s Sackler Faculty of Medicine, Director of the Endocrinology and Diabetes Research Unit at Schneider Children’s Medical Center of Israel, and Head of the WHO Collaborating Center for the Study of Diabetes in Youth, puts forth evidence that the autoimmune disease is initiated in utero. According to the research, conducted in collaboration with an international team of researchers, women who contract a viral infection during pregnancy transmit viruses to their genetically susceptible fetuses, sparking the development of type 1 diabetes. “We knew that type 1 diabetes was associated with other autoimmune diseases like Hashimoto Thyroiditis, celiac disease, and multiple sclerosis, so we investigated the seasonality of birth months for these respective diseases in Israel and other countries,” said Prof. Laron. “We found that the seasonality of the birth of children who went on to develop these diseases did indeed differ from that of the general public. “In further studies, we found evidence that viral infections of the mother during pregnancy induced damage to the pancreas of the mother and/or the fetus, evidenced by specific antibodies including those affecting the pancreatic cells producing insulin,” Dr. Laron said.